Chapelfields is not an ancient suburb. It only acquired houses and residents within the last two hundred years, and for most of its history it was a collection of fields used for hunting or the grazing of animals. But while there was no church in medieval times, there was, as the name suggests, a chapel. The owner of the land in 1168 was the Earl of Chester, Hugh of Cyfeiliog. He wasn’t much of a man for charity, giving little to the church – he was, perhaps, a little too busy rebelling against Henry II along with the King’s sons. But when the knight he sent to the crusades in his stead returned with leprosy, he found it in his heart to endow a leper hospital in the district then known as Sponne. The chapel attached to the hospital was dedicated to St. Mary Magdalen, and remained even after the hospital fell into ruin; until it, too, vanished from the records, with no physical trace left to find. Sir Thomas White – Cloth Merchant, Philanthropist, Lord Mayor of London. The land, though, remained. Hugh’s endowment had given it to St. Mary’s Priory in Coventry – until 1542, when Henry VIII decided that priories and monasteries were no longer welcome in England. Many cities took advantage of the situation to buy monastic property at a cut-down rate, and the Corporation of Coventry was no exception – although they didn’t quite have enough cash on hand to buy it themselves. It fell to the very wealthy and extremely charitable cloth merchant Sir Thomas White (later Lord Mayor of London) to help out with a gift of £1,400. His only condition was that some of the income from the land be used to give interest-free loans to apprentices in Coventry and the Midlands, so that they could start their own businesses. Sir Thomas White’s Charity [warning: autoplaying audio] still exists and continues to provide these loans (though only in Leicestershire and Rutland these days). The land continued in its old use until the 19th Century. By then the city was growing beyond its medieval bounds, hungry for land to use in industry. In the 1840s, the industry most in demand was watch-making, which required premises in which the craftsmen could both live and work. So the City Corporation used the land to create a new ‘village’ around the two roads that passed through the area, Elsdon Lane (now Earlsdon Avenue South) and Birmingham Old Road (now Allesley Old Road). 70 houses were in place by 1851, with workshops called ‘top shops’ that had large windows on the upper floors to provide light. Watchmaking began to die out after the 1880s, replaced by larger factories in Switzerland and the US, but by then the suburb had taken hold and its original purpose no longer mattered. The new tram system passed through the area, allowing residents to commute to distant workplaces rather than having to work from home; and now that the community was permanent, the need arose for a place of worship. But there wasn’t anywhere. Services had to take place in the open air, on the site of the present Butts car park. It wasn’t until 1895 that the nearest church – St. Thomas’s in Spon End – opened a mission in a ramshackle old army hut made of corrugated iron, which quickly became known as the ‘Tin Tabernacle’. The hut was moved to the site of the present church in 1917 and renamed the District Church of St Mary Magdalen, reviving the name of the mediaeval chapel. Another aspect of the area’s history came into play with the selection of the site at the corner of Hearsall Lane and Sir Thomas White’s Road, whose ownership was still in the hands of Sir Thomas White’s Charity but who gave the land to the Diocese on condition that it be used only for a church. The following year, Reverend Harold Tuff was licensed as priest in charge; and in 1926, the congregation was so great that a new parish of St. Mary Magdalen was created, and Rev. Tuff became its vicar. But by then it was obvious that the Tin Tabernacle had become inadequate. The floor was rotten. The roof leaked. The whole structure was threatening to collapse. And even if that hadn’t been the case, it was far too small. People were being turned away, even from Communion services. Rev. Tuff began planning for a permanent church, commissioning local architect TF Tickner to make drawings for a new building on the rest of the plot provided by Sir Thomas White’s Charity. It was to be of an imposing gothic style, almost like a castle overlooking the road and calling people to the church. In 1929, Tuff retired and was succeeded by Reverend Philip Morson, who made it his life’s work to build the church despite the pain he still suffered from wounds he received in the First World War. In 1931, he endured a further blow after the designs went to the Ecclesiastical Commissioners for England for approval and were refused. The architectural advisors felt that the proportions were wrong, the walls not thick enough, the plans didn’t show how structures within the church would be supported, and the building as a whole was ‘lacking in those attributes that are looked for in a place of worship’. All of Tuff’s work was undone. They would have to start from scratch, with a new architect and a new design, having already spent £250 on the first one. Morson found himself unable to eat or sleep with the worry. Herbert “Jacko” Jackson. Photo taken before the toothbrush moustache acquired its current notoriety. The architect they found, later in 1931, was Herbert Jackson. He had never designed a church before, but he was clerk of works for the new St Barbara’s in Earlsdon, and had thus supervised every stage of a similar project. Within a few months, he had designed a much more modern church in a Romanesque style with Byzantine details – something that recalled the great churches of Rome and Constantinople, more like a stately basilica than the fussy details of mediaeval England and Normandy. This design passed the Ecclesiastical Commissioners with flying colours, and building could begin at last. But how would it be paid for? The new building was estimated at over £11,500 – about £700,000 in 2015 money. And work was scheduled to begin in 1932, right in the middle of the Great Depression, with the economy grinding to a halt and millions out of work. Yet even so the parish had been finding money. Rev Tuff had been collecting since at least 1925 and Morson had carried on the work. Between the generosity of the parish and a few anonymous donors, over £2,500 had been found by February of 1932; this had been deposited with the Ecclesiastical Commissioners and would earn another £700 of interest during the course of the project. 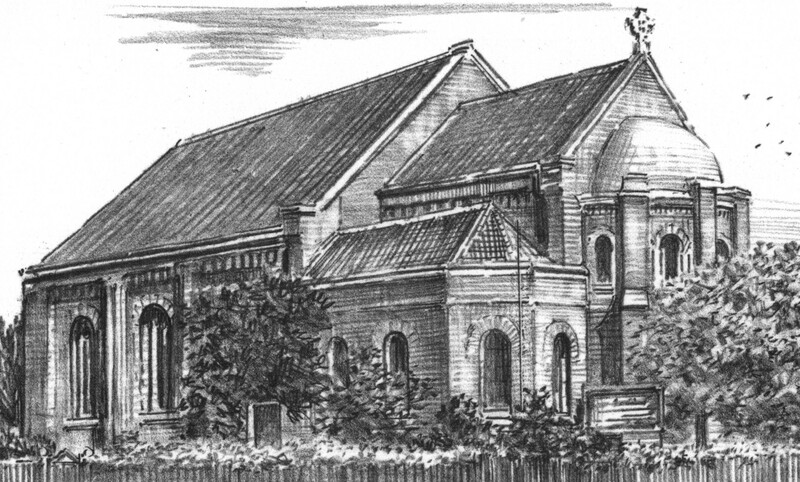 The final design for the church, by H.T. Jackson. Note the tower at the rear. However, the bulk of the money came not from donations but from a grant by the Coventry New Churches Fund. Chapelfields was not the only parish in the city lacking an adequate church. £36,000 was divided between five churches, of which £4000 went to St Mary Magdalen – but there was a catch. The full £36,000 could have been spent on one single magnificent church, but instead it was given to several churches so that they could be partially completed – enough for them to be able to fulfil their function and therefore reach a far greater number of people. All that would be missing would be some final feature for which the individual parishes would have to raise the money themselves. In the case of St. Mary Magdalen, this was to be a tower and belfry, as well as an extension to the Baptistry and western end. Before this could be done, the Tin Tabernacle would have to be demolished to make space, and a parish hall built elsewhere – but it was felt that this was possible. The Depression couldn’t last forever. And surely nothing worse could happen. And so the work began, with a sod-cutting ceremony on the 8th of March, 1932, in which Morson and Jackson dug into the earth and turned it over, along with other local dignitaries and churchwardens. Once more work had been done, a foundation stone was laid on the 3rd of December with a time capsule inside, the ceremony attended by the Lord Bishop of Coventry, Mervyn Haigh. Parish archives record in detail the difficulties of construction, little different to the problems a modern building site would have to overcome. Building materials turned up late and delayed the project; winter weather and sickness brought work to a standstill more than once; one set of workmen might undo the work of others, requiring repairs and causing further delays. One story in particular stands out: the bronze-faced alms boxes installed by the West Porch turned green with verdigris a few days after installation, and no amount of polishing could prevent them from continually corroding. Only after the metal was tested by the Technical College (now City College) and found to be contaminated with zinc would the foundry admit they were at fault, paying for the test but still insisting that the church paid for new alms boxes (which were later removed when the Magdalen Centre was built). But even though many trials and tribulations had to be overcome, outstanding work was done throughout the church. This is most obvious in the carvings and faience work, as well as the distinctive blue roof that is still the church’s hallmark. Jackson and Morson persevered through it all, even after Jackson and his assistant had to stand in as clerk of works when the church could no longer afford to employ a man to perform the task. One interesting aspect to construction in this time is that many firms volunteered to employ disabled workers as part of the National Scheme for Disabled Men. This was a legacy from the First World War, when fully 5% of the male workforce were maimed in some way during military service. Participating companies would seek to employ 5% of their staff with men who had suffered this way in the war; it was regarded as a patriotic duty and there is hardly a single firm that worked on the church which does not carry the crest of the scheme on its letterhead. The church was supposed to be finished by September 1933, but work continued into the following year. On the 14th of February, 1934, Reverend Morson climbed the scaffolding outside the east end to lay a trowel of cement in a socket on the roof, so that a Greek cross could be installed at the top of the building. And finally the church was ready for the ceremony of consecration on the 21st of April, 1934. On a sunny day, with the church filled to capacity and the Reverend Tuff in attendance, the Lord Bishop of Coventry, Mervyn Haigh, gave three blows on the church door with his pastoral staff to request that the door be opened. Reverend Morson threw the doors wide, and the bishop invoked the blessing of the Trinity upon the church. The procession entered, and the bishop was welcomed in a speech by Mr Bolton, one of the Churchwardens, who then petitioned the bishop to consecrate the church. Going from point to point through the building to appropriate verses of the hymn ‘We Love the Place of God’, the bishop offered the prayer of consecration; and finally at a table in the chancel, he signed the deed of consecration before tracing the cross of consecration on the wall near the lectern – a cross that a mason had carved into the stone during the service, just as it appears today. The parish offered £280 towards the cost of the church, with another £45 and 11 shillings collected during the service itself – all of it going to defray the £2000 of debt that was still outstanding. Yet the project had not gone over budget – indeed, Jackson had been able to save money while still including a number of details which had not been part of the original design. With seating space now for 350 people, the church could at last fulfil the needs of the parish. But more work still remained to be done. The Tin Tabernacle was standing in as a parish hall, but still had all its old problems, requiring a replacement. And before they could consider the completion of the west end with its tower and belfry, the reredos behind the altar had to be finished, and an organ had to be installed to take advantage of the organ loft and excellent acoustics. The reredos and organ were completed; but before much else could be done, time ran out. Britain declared war on Germany on the 3rd of September, 1939. Men were called up from the parish almost immediately and served in virtually every theatre of war, including one Royal Marine who perished when HMS Hood was destroyed by the Bismarck. The church is doubly connected to the loss of the Hood by its current associate minister, the Venerable John Green, who was Chaplain of the Fleet until 2010 and who conducts an annual service in memory of the vessel. But the fighting didn’t stay overseas. On the night of the 14th of November, 1940, the Luftwaffe brought the war to Coventry. Chapelfields was only lightly touched, compared to the square mile of devastation in the city centre. Nevertheless a stick of bombs laid a path of destruction across the suburb, one of them detonating in the garden just outside the East end of the church. Walls were cracked and the brickwork seemed to lift up from the foundations. The windows of the apse were blown in, destroying the central memorial window. The raid only finished at 06:30 in the morning of the following day; Holy Communion went ahead nevertheless at 07:30, with the three communicants who were able to brave the shattered streets. Elsewhere, the city was devastated; at least 500 people lost their lives, the Cathedral was reduced to a rubble-filled ruin, and many of the factories and businesses were destroyed. The builders for the church lost their main office and all their records, prompting them to write to the church some time later, asking if they could provide documents so they could make sure the final bills for the construction had actually been paid. The war dragged on until 1945, drawing men and women away from the parish and making it difficult to keep the church running. Four organists were lost to the forces in succession. The parish magazine recorded the servicemen who were briefly home on leave, before they returned to the fight. Through it all, Reverend Morson carried on, aided now by his curate, Norman Rathbone. But the strain was telling on Morson, and his old wounds were troubling him more than ever. He was alone in the church late on the evening of Monday the 4th of June, 1945 when he collapsed with a cerebral haemorrhage. He was found the next day, unconscious yet still clinging to life. Even so, he died at Gulson Road Hospital on the following Saturday. His body was brought back to the church he built on the following Tuesday, with a vigil held through the night. The Bishop of Coventry offered a High Mass of Requiem the next day before the service of burial. The war ended, and Rathbone carried on in Morson’s place, being inducted as vicar on the 17th of December 1945 – a mark of his popularity in the area, and an unusual appointment as curates usually move on to another parish when they become a vicar. The church was never finished to Herbert Jackson’s original vision. The years of austerity following the war, combined with the need to rebuild so much else of Coventry, meant that it was 1962 before any major work could be done – and that was only the demolition of the Tin Tabernacle and its replacement with a separate parish hall. But nevertheless, the church was finally completed – even if the tower and belfry could not be added. 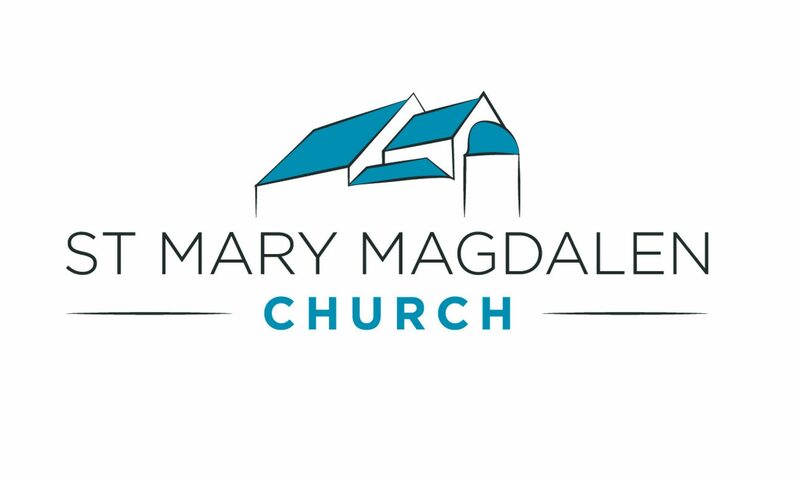 In 1986, work began on the Magdalen Centre, which replaced the west end porch while adding kitchen and toilet facilities, along with a social area more appropriate for the modern age. The world and the parish have changed a great deal in the decades since the church was built, but there is nevertheless something timeless about the building itself, an ethereal sense that strikes you as soon as you enter from the Magdalen Centre; and for this we must thank and remember Herbert Jackson, who had the vision for its substance, and Philip Morson, whose determination and many years of hard work brought the church into being. The Magdalen Centre in September 2015. Built in 1986.